Healthcare workers are expected to provide their patients with a standard of care established by the state in which they are licensed to practice medicine. When doctors fail to provide this, mistakes and errors often occur, resulting in serious, sometimes life-threatening injuries. Medical malpractice can occur when a doctor fails to diagnose or misdiagnoses a health condition, issues the wrong medication or the wrong amount of medication, or makes an error during surgery or other forms of treatment. Misdiagnosis may be the most common form of medical malpractice in the United States. This occurs when a doctor incorrectly diagnoses a patient’s health condition. 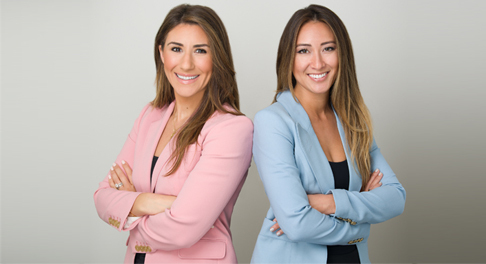 But, in order to file a medical malpractice claim related to a misdiagnosis, you must prove the doctor’s failure to correctly diagnosis you led to some type of injury. Injuries usually occur because the victim goes for long periods of time without receiving the treatment he needs for his health condition. Medication errors are another common form of medical malpractice that can cause life-threatening consequences. If a doctor prescribes the wrong medication, which is often a factor in misdiagnosis cases, or administers the incorrect amount of medication, he is putting your life at risk. Medications are designed to treat specific health conditions, so giving them to someone who is not suffering from the appropriate condition is incredibly dangerous. Although many parents expect to bring home a new baby, childbirth can often turn tragic when doctors fail to provide the quality of care parents expected. Birth injuries are all too common, especially those related to lack of oxygen during childbirth. Doctors and other medical professionals involved in the mother’s labor have an obligation to closely monitor the newborn’s vital signs. When vitals begin to drop, doctors should take immediate action to prevent the baby from suffering. Spinal cord damage is one of the most serious injuries that can occur as a result of medical malpractice. These injuries can occur when a medical professional fails to properly transport you to the hospital after a minor injury, or if you are moved during surgery in a way that damages your spinal cord. Unfortunately, these injuries can greatly impact the qualify of your life and lead to massive medical expenses, but if you contact an attorney, you may be able to recover damages from the responsible parties. A doctor’s negligence may also lead to surgery errors. This could mean the doctor made an error during a surgery, or it could mean he performed the surgery at the wrong part of the body. Either way, you may be entitled to compensation for your injuries and pain and suffering. When you visit a doctor, you expect him to provide you with the highest quality of care. But, if you were injured as a result of a doctor failing to deliver the expected standard of care, you may be entitled to compensation for your injuries. 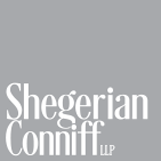 Speak to the team of personal injury attorneys at Shegerian Conniff today to discuss your legal options.